On July 8th Maria Dourjkova was interviewed by Steve Hargadon at an Elluminate Webinar on the question "Where is Math 2.0?" I unfortuntely was not able to connect to the live cast but managed to listen to the archived version. 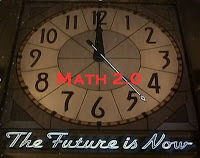 Since the notion of Math 2.0 intrigues me, I was eager to learn more about what others thought the term Math 2.0 might mean. Here are some of the responses to "What is Math 2.0?" from the chat log of the event. Math created and shared between people. ... interactive, participatory, engaging... you know... the stuff that you don't get with textbooks. 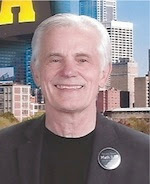 Math 2.0 is the ability of users to create their own math-rich social objects, using web technologies. For complete chat log click here. 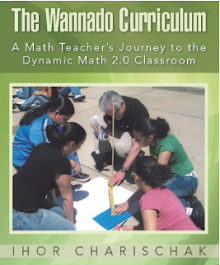 Building on Math 1.0 For me Math 1.0 began in 1989 when NCTM announced the release of their Curriculum and Evaluation Standards for School Mathematics. Since then there has only been one major revision in 2000 when NCTM published their Principles and Standards for School Mathematics and made technology a principle (joining teaching, learning, assessing, curriculum and equity.) I was optimistic at the time that NCTM would forge a new initiative into exploring what it means for technology to be a principle, but to date I’m disappointed that no such initiative has emerged. In fact, given their latest Guidelines (where there was no mention of technology) and disappointing tech support at the last April’s NCTM conference, it looks like they are not yet ready to embrace technology in a bold, new way that includes the promise of what Web 2.0 offers. A New Paradigm for Teaching and Learning Math That’s why CLIME is joining Maria and other interested individuals and groups in banging the Math 2.0 drum to encourage a grass roots movement that will make the possibility of a paradigm shift reality. Web 2.0 has the potential to change the way we learn and teach mathematics not unlike what Apple Computer did back in 1984 with their launch of the Macintosh which changed the way everyone uses computers today. Maria is having another Math 2.0 event on Wednesday, July 22 at 9:00pm (Eastern daylight savings time). Come join us as we search for Math 2.0: a new and exciting frontier!